IT IS a sound no parent ever wants to hear - the loud buzz of a phone echoing in the still of the night. As Chris woke to a call from police telling him they were concerned about his daughter Jessica in April last year, he felt his stomach drop in fear and dread, reports The Sun. The police told the UK dad they had been contacted by friends of the 12-year-old girl after she posted a chilling picture showing 'RIP' written on her foot on social media. As Chris raced into his daughter's room in their home, in Warrington in the UK, it was too late - he found his darling girl dead in her room surrounded by cuddly toys. 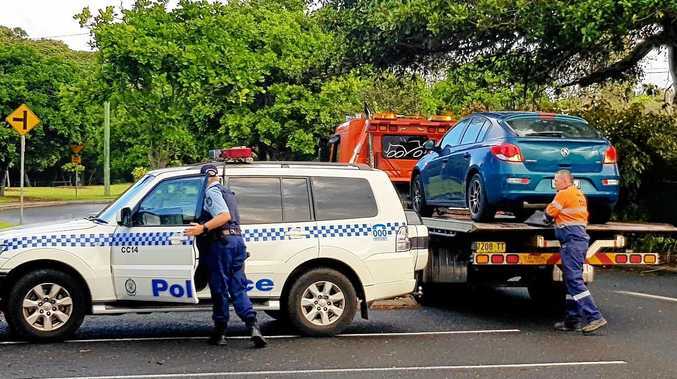 She left behind a note, which named her alleged school bully, with police revealing in an inquest into Jessica's death this week that they were aware of an incident "relating to Jessica being bullied at school" in April 2016. Unpleasant messages between Jessica and her friends were also discovered on her social media accounts, with some revealing the 12-year-old had previously self-harmed. The inquest also heard that the 12-year-old girl had spoken to teachers about her tricky home life. As the coroner investigated Jessica's death, an anonymous father came forward claimed there were "systematic failings" at Jessica's school. He said his two daughters had left Penketh High School due to issues with bullying some years ago. The dad wrote to the Department for Education in October 2016 to voice his concerns with the school and had received an email reply back from the government department. He said he was prompted to call the Warrington Coroner's Office after seeing media reports about Jessica's death. This revelation led to dramatic scenes at Warrington Town Hall, with Chris claiming the information required further investigation and a halt to the inquest. "My feelings on it is are the school covering it [bullying] up?" he told the coroner. "I think this is relevant." Despite Jessica's mum, Rachel Dawber, demanding the inquiry continue, Coroner Alan Moore said he "must make some further enquiries". "We'll obtain a statement from the gentleman concerned, and I'll have a statement from the principal at the school. "I completely sympathise with Ms Dawber, but my job here is to investigate fully, fairly, and fearlessly on anything that might have had a bearing on her death. "I'm so sorry, I had no idea this gentleman would approach us, but it would be utterly inappropriate for me not to share that with you. I'm so sorry about that." John Carlin, the headteacher of Penketh High, reassured the inquest he had implemented new policies on bullying and self-harm at the school since Jessica's death. If you or someone you love is suffering from bullying or is in need of suicide prevention, please reach out to Lifeline on 13 11 14, Kids Helpline on 1800 55 1800 or Beyond Blue on 1300 22 46 36. If you'd prefer to chat with someone online National Centre Against Bullying, Bullying No Way and ReachOut all have great online bullying resources for kids. Contact to police on 000 if you are in immediate danger.